Just when you think the mystery behind the Bell of Batoche has finally been put to rest, something unexpected happens to kick up a hornet’s nest of new questions. And those questions usually involve former Métis leader and activist Billyjo Delaronde. 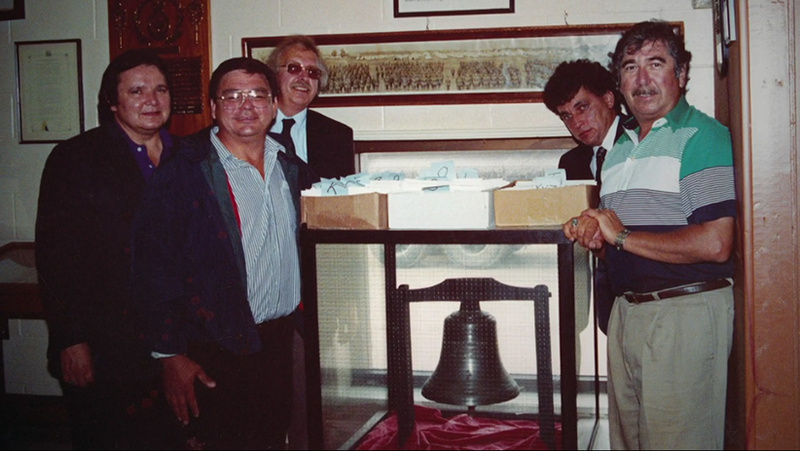 The man who re-stole the 20-kg, silver-plated Bell of Batoche in 1991 from the descendants of Canadian soldiers who originally stole the bell in 1885 from the Métis of Batoche, now has that bell again—and he ain’t sayin’ where it’s at. Again. But, then again, he says he is the “Keeper of the Bell,” which is now legally owned by a Métis woman in Alberta named Audrey Poitras, who also happens to be the long-time leader of Alberta’s Métis people. And she’s not saying where that bell is, either—if it is the Bell of Batoche at all. Let’s start from the beginning. Rather than simply re-state Canada’s official view of the Louis Riel-led North-West Rebellion in 1885, which has the heathen, savage Indians making common cause with their brown papist brothers, the Half-Breeds, and discussing the battles of Batoche and Frog Lake from the victor’s perspective, let’s just skip to the end result: both communities were sacked, Batoche and Frog Lake looted and plundered by racist Orangemen from Ontario, under the proud white banner of Canada and its military. The Bell of Batoche, along with the Bell of Frog Lake, was said to have been carted off secretly by white militiamen bent on collecting as many war trophies as possible. Fast forward 105 years later to 1990, and CBC’s Dan Bjarnason is reporting on the bell in Millbrook, Ont. In Manitoba, Yvon Dumont, the Manitoba Métis Federation president from 1984 to 1993, and Manitoba’s first-ever Métis Lieutenant Governor, is watching the report—as is his young, curly-haired political protege from Duck Bay, Man., Billyjo Delaronde. After a short, nostalgic review of the “rebellion” and the battle at the Métis settlement about 90 kilometres north of Saskatoon, Bjarnason cuts straight to the tale of the Bell of Batoche. This CBC story was more than likely inspired by an unsuccessful 1990 letter to the Millbrook Legion from the Saskatchewan Métis, requesting the return of the bell to Batoche. And apparently, there was really no way to get any plainer that. Shortly after that story, in Oct. 1991, a five-man Métis diplomatic mission was sent to Millbrook, Ont., headed by Dumont, with his first lieutenant Delaronde, to appeal to the better angels of the men who now had the Bell of Batoche displayed as a war trophy in a drinking establishment. What exactly happened next remains something of a mystery. But what is plain is that one week later, this controversial historic bell—along with three medals, belonging to Sgt. Ed McCorry and his two nephews, Millbrook soldiers who were at the Battle of Batoche—went missing from the legion. And for 22 years, no one claimed to know where it was. That mystery endures, in large part, because of Delaronde himself. As any reporter who has ever interviewed him will tell you, he answers questions about the bell like he’s doing a Dance of the Seven Veils—in a slow, annoying striptease that continually tempts the listener with seductive glimpses of the truth, but never the whole truth, nor the nasty, good parts. He’s also prone to self-serving self-flattery. A “Métis Mission Impossible,” a “gentleman’s dare,” and an “act of repatriation”—he’s used all these phrases over the years to describe his break-and-enter. He’s a divisive figure, even among the Métis; he is either demonized by his political enemies, or strongly promoted as a noble, saintly figure by his supporters (and also rather strenuously by himself.) And his story about the break-in—and who was involved and how the bell was taken—has also changed over the years. But that’s just “Billyjo.” One minute you’re frustrated with him. The next minute you can’t help but like him. The man oozes warmth, charm and genuine affection, so much so that even the former sergeant-at-arms at the Millbrook Legion, who drank with Billyjo and his Métis party of adventurers shortly before the 1991 break-in, was ready to forgive the theft of the stolen Métis bell—provided that the three medals that also disappeared were simply returned. 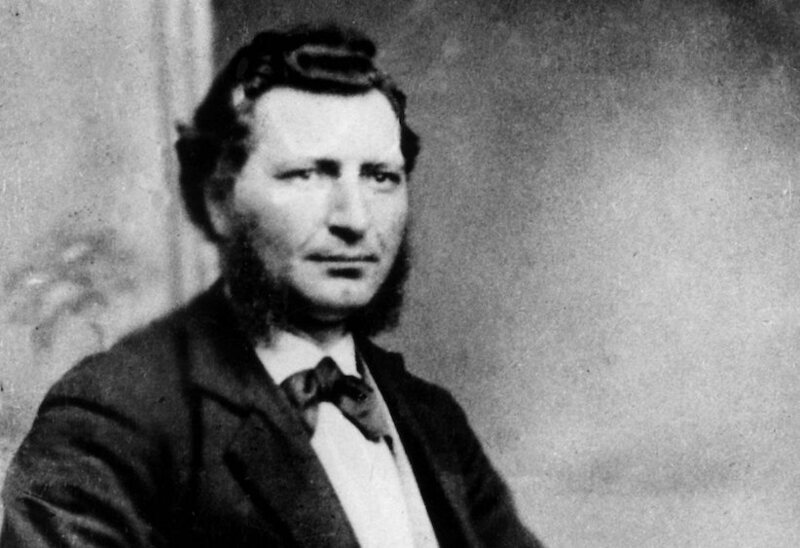 Delaronde’s story, now, is this: about a week after his original 1991 visit—on Louis Riel’s birthday—he jimmied the lock to gain entry to the Millbrook Legion without causing any damages, and liberated the bell that was christened in the 1800s by Bishop Vital-Justin Grandin with the name “Marie Antoinette” from her prison with an accomplice he refused to name, with whom he then lit out of town in his Jeep Cherokee. The first snag to the getaway, Delaronde said, came when the car broke down in Thunder Bay, forcing them to grab a bus back to Winnipeg. The next snag, he continued, was when the bell kept making a loud gonging sound from underneath the bus every time they went over a bump, which necessitated a quick, panicked re-pack of the bell at the next available stop. But Delaronde, his accomplice and the Bell of Batoche—or the Bell of Frog Lake, depending on who you talk to, more on that later—finally did make it back to Winnipeg. It popped up, from time to time. In 1995, the Winnipeg Free Press published a story in which sources claimed that Delaronde, then the newly elected MMF president, held an election party in Gran Marais, Man., where the Bell of Batoche was on display, and party guests each took turns “gonging” the bell, including a senior Manitoba government minister; that minister later claimed that he never heard of the Bell of Batoche before or even knew that he may have been “gonging” possible stolen property. Then, on July 20, 2013, Billyjo Delaronde finally returned the Bell of Batoche—wrapped in buffalo skins and a Métis flag—to Monsignor Albert Thevenot, who is also Métis and the Bishop of the Roman Catholic Diocese of Prince Albert, at a special ceremony in Batoche, at the annual “Back to Batoche” Métis festival. What was lost, now was found. A 22-year-old mystery was finally solved. Or so we thought. Indeed, in yet another twist in this story, there are some questions as to the bell’s authenticity. According to Professor Fred Shore, a Métis historian at the University of Manitoba, the weight of historical evidence, including a 2014 CBC documentary and its endorsement by the director of the St. Boniface Heritage Centre, strongly suggests that the original Bell of Batoche was actually destroyed in a 1990 fire, and that what was now being touted as the famed Métis bell was probably the Bell of Frog Lake, stolen at the same time. Poitras, however, cites the oral history of her Métis family, who have figured prominently in both the historic Red River Settlement and Batoche, in strongly disputing the CBC’s claim that the Bell of Batoche is really the Bell of Frog Lake. While she stated that she strongly sympathized with some of the Plains Cree people at Frog Lake who now believed that the bell now in her possession really belonged to their community, she urged them to look to their people’s own oral history, instead of accepting CBC news stories at face value. Either way, the bell did find its way to McCaffrey’s GDI Centre last summer, after it was exhibited at the Back to Batoche Days festival last July, and he says it remained at the centre until about Nov. 15, 2016. That’s when, he says, it was picked up by Delaronde and Poitras, who claimed that she is now the legal owner of the bell, per the Bishop of Prince Albert. Indeed, last November, the CBC ran a story that the bell had gone missing, but it was really on display at the GDI Centre, where McCaffrey was seeking direction on what to do with it. Why the Bishop would give the bell to Poitras is unclear, though reports in the St. Paul Journal suggest that Frog Lake may have been working to get possession of the bell. (The Prince Albert Bishop’s office declined to speak to Maclean’s for this story, beyond directing comment to Poitras.) This threat of possible litigation could also explain why both Poitras and Delaronde would only say that the artifact was being kept in a “secure location” when asked repeatedly where it was. And while many may now question the wisdom or efficacy of making Poitras the sole legal owner of what may very well be the Bell of Batoche, this new legal ownership could trump legal efforts from residents of Frog Lake to gain possession of the bell for their community. Poitras agrees: “The Bell of Batoche is owned by myself, Audrey Poitras—as a private Métis citizen,” she says. “And this legal ownership was established through a process specifically set up by Bishop Albert Thévenot of Prince Albert.” Under the terms of this 2015 letter and written agreement, Poitras—who says she’s merely the legal conduit to ensure the bell would now be preserved for all Métis people—received full legal ownership of the bell in return for her agreement to personally shoulder any and all financial burdens that may result from future litigation in relation to the bell, whether it’s from Batoche or elsewhere. What happens to the bell now remains unclear. It has been displayed from time to time at community events, including most recently at the Westmount Community School in Saskatoon in mid-June. It was not displayed on National Aboriginal Day, Poitras says, because no community group had asked her to do so. As for Billyjo Delaronde, whose break-and-enter helped ignite this drama? 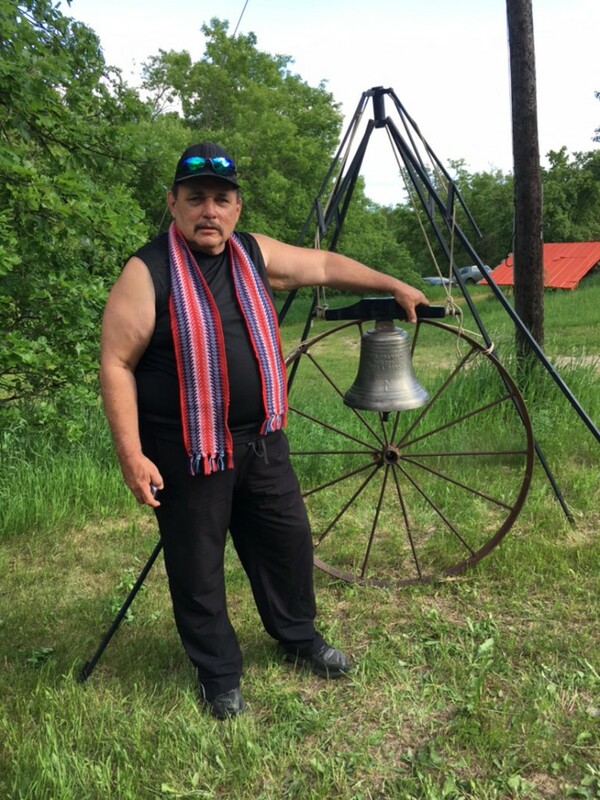 Poitras says he had been given the title of “the Keeper of Bell” when he finally returned the Bell of Batoche back to the church in 2013, at a special ceremony in Batoche.